Located on a spur of high ground between Dacre Beck to the south and a small ravine to the north is Dacre Castle. The castle stands on the eastern side of a moated sub-rectangular island and was built soon after the licence to crenellate was granted to William de Dacre by Edward II in 1307. Moated sites were built throughout the Medieval period with the provision of a moat intended as a status symbol rather than a practical military defence. The fortified tower house is constructed of mixed sandstone with battlemented parapets concealing the roof. The east tower was built by Humphrey de Dacre some time before 1485. The castle remained in the Dacre family until after the death of Lord Dacre, Earl of Sussex, who lived an extravagant life at Court having married an illegitimate daughter of Charles II. The castle and extensive lands were purchased in 1715 from his Trustees by Sir Christopher Musgrave when he transferred the Dacre lands to his son in law Edward Hasell. Since this time the castle has remained part of the Dalemain Estates. 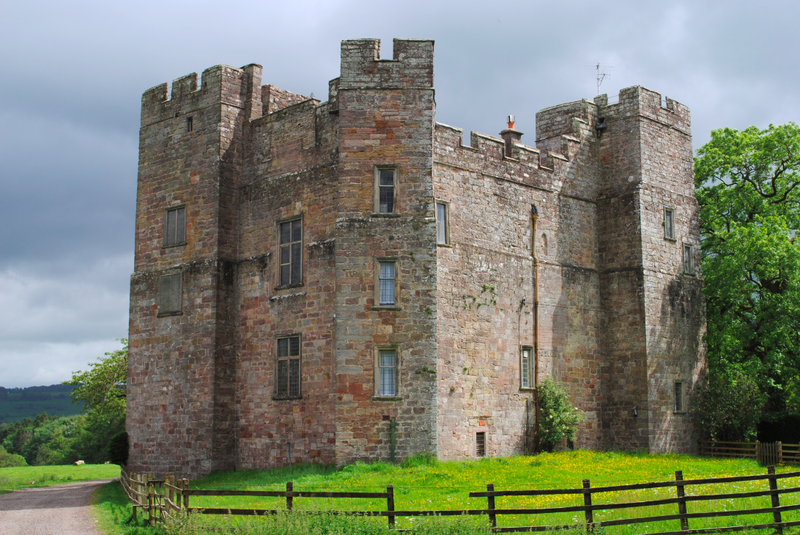 Dacre Castle is Grade I Listed and the ground beneath is a Scheduled Ancient Monument.